Liz Blackman and her husband watched the television news reports in shock last September. Like so many others, they witnessed the havoc wreaked on the Gulf Coast by Hurricane Katrina and felt helpless. But not for long. You see while the human disaster bothered them greatly, so did the preventable tragedy befalling the animals of the region. So many pets perished in the storm and aftermath and so many more were lost, never to be reunited with their owners, because either they were not wearing identification tags or the homes referenced on the tags simply didn’t exist anymore. But Blackman had a service that could help—and so she did. Over the last ten years, Blackman has taken her company 1-800-Help4Pets from an idea hatched over the kitchen table to a highly successful company operating in every state in the U.S. and across Canada. The concept is simple: owners who purchase the Pet Protector on-call service are given special I.D. 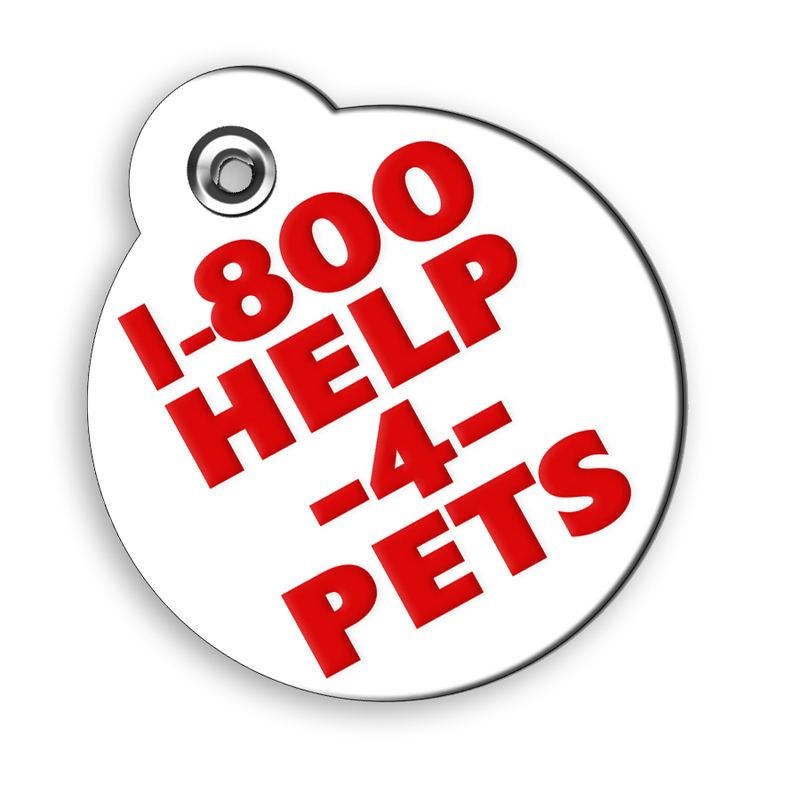 tags that include the 1-800-Help4Pets phone number. When an animal separated from its owners is found, the finder can call the company, which acts as a bridge to bring pet and owner back together no matter the distance. It all comes down to a startling yet clear statistic: 95 percent of pets wearing I.D. tags get back home; 95 percent of those not wearing tags will never see their owners again. To explain Help4Pets, Blackman likens the service to a combination of medic alert, 9-1-1 and OnStar. Ok, explanation needed. Like medic alert services, Help4Pets has all pertinent medical information about its registered pets on file and can authorize veterinary treatment in emergencies. Help4Pets is like the automobile global positioning system OnStar in that it offers clients specific information on veterinarians and pet services in areas across the United States and Canada. And just like 9-1-1, Help4Pets is on-call 24/7 to help bring pets back together with their families as quickly as possible. FOLLOWING IS A SEPARATE BOX OR SIDEBAR, HOWEVER YOU WANT TO LAY IT OUT. THANKS! 1. If you only do one thing, make sure your dog always wears a current I.D. tag . . . even in the house. You never know when he’ll need it. A diamond-studded collar without a $3 I.D. tag attached is worthless if your dog needs help. The only time to take your dog’s collar and I.D. off is when you’re giving him a bath. Put it back on before he’s even dry. Also, be sure to check the condition and accuracy of your dog’s tag regularly. Schedule a tag check twice a year when you set your clocks ahead and back and test your smoke-alarm batteries. To those who argue that their pet never goes outside and therefore does not need I.D. tags, Blackman offers this simple scenario: In the event of a fire, wouldn’t you want your pet to be able to escape, and how would you ever find them again without tags? “That usually makes owners think,” she says. Teach him that he’s not allowed to leave home without you. It’s basic and it works. For help, call 1-800-Pet Dogs. The Association of Pet Dog Trainers will help you locate a trainer in your area who’s right for you and your dog. 3. Never leave your dog unattended on the street. A dog left hitched to parking meter, or even on the front seat of a locked car, looks like a wallet full of money to a thief - and just as easy to steal. People steal dogs for all kinds of reasons. Sometimes it’s just to wait for you to put up a sign offering a reward and then to pose as the finder. But sometimes, the reasons are worse . . . far worse. Before you leave your dog anywhere, ask yourself this lifesaving question: “Would I leave my wallet here?” If the answer is “No,” then don’t leave your dog there either. 4. Keep a padlock on all gates. This can discourage theft. But remember, it’s only a momentary inconvenience to the determined thief. 5. Never leave your dog in the yard where he can be seen. 6. Always walk your dog on a leash. According to The Association of Pet Dog Trainers, even a dog who graduates at the top of his obedience class can become scared, distracted or tempted. And in a moment, he can be hit by a car or lost forever. 7. Don’t leave your dog in the back yard when guests or service people have access. You can’t expect anyone to be as diligent about keeping him in or as concerned about his getting out as you would be. 8. Protect your dog from loud noises. 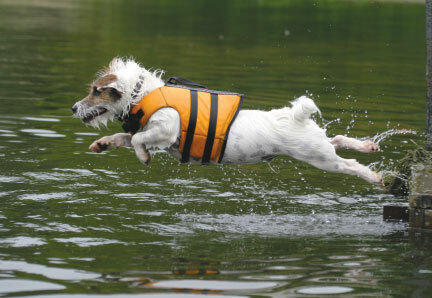 Fear is one of the most common reasons for why a dog runs. Loud noises are usually the cause. It can be a firecracker on the Fourth of July, a thunder storm or even a car backfiring. 9. Teach children to keep gates and doors closed. If the child is old enough to walk and talk, he’s old enough. This requires practice, but it’s a lesson well worth learning. It’s also a chance to teach children about the responsibility of caring for a pet. 10. Spay or neuter your dog. Even the most loyal dog will leave his/her happy home when love is in the air. 11. Prepare ahead of time for a disaster. It’s always best to have a game plan before the emergency. The decisions you make in advance are always going to be better than what you come up with during or afterwards when you’re under duress. Consult experts like your veterinarian and pet sitter and create a plan for what to do with pets in the event that you have to evacuate your home. While those who live in vulnerable areas like hurricane-prone coastlines or tornado territory should be diligent about this plan, no one is exempt. A gas leak or house fire can happen anywhere and vigilance will save lives.